Escape to Mounts Bay Waters this weekend in a one bedroom apartment with a private balcony or courtyard and enjoy FREE continental breakfast per person and FREE carparking. When the Restaurant is closed, a breakfast pack will be provided. Self-contained one-bedroom apartment with a private balcony or courtyard, a separate combined living and dining area and a fully-equipped kitchen. Other features include dishwasher, a washer & dryer, FREE undercover secure parking for 1 car and FREE WiFi. Escape to Mounts Bay Waters this weekend in a 2 bedroom/ 1 bathroom apartment with a private balcony or courtyard and enjoy FREE continental breakfast per person and FREE carparking. When the Restaurant is closed, a breakfast pack will be provided. Self-contained two-bedroom apartment with one bathroom, a separate living and dining area and a fully-equipped kitchen. Other features include a private balcony or courtyard, dishwasher, a washer & dryer, FREE parking for 1 car and FREE WiFi. Escape to Mounts Bay Waters this weekend in a 2 bedroom/ 2 bathroom apartment with a private balcony or courtyard and enjoy FREE continental breakfast per person and FREE carparking. When the Restaurant is closed, a breakfast pack will be provided. Self-contained two-bedroom apartments with two bathrooms, a separate living and dining area and a fully-equipped kitchen. Other features include a private balcony or courtyard, dishwasher, a washer & dryer and FREE parking for 1 car. Self-contained three-bedroom apartments with two bathrooms, a separate living and dining area and a fully-equipped kitchen. Other features include a private balcony or courtyard, dishwasher, a washer & dryer and FREE parking for 1 car. Escape to Mounts Bay Waters this weekend in a 3 bedroom/ 2 bathroom apartment with a private balcony or courtyard and enjoy FREE continental breakfast per person and FREE carparking. When the Restaurant is closed, a breakfast pack will be provided. Mounts Bay Waters Apartment Hotel is situated in the secluded Mounts Bay Village; a sanctuary of landscaped gardens complimented by swimming pools, tennis courts and furnished apartments. The village is located between Kings Park and the Swan River and is the perfect vantage point from where to base your stay in Perth. This contemporary apartment Hotel comprises of one, two and three bedroom, fully self-contained apartments and penthouses which address most of our guests’ needs so whether you are on vacation, relocation, a business trip or just a leisurely break from routine, Mounts Bay Waters Apartment Hotel is your ideal accommodation choice when visiting Perth. The hotel is only a ten-minute walk from the bustling CBD and five minutes’ walk from the Perth Convention Centre and the Perth Busport. We are within the CBD’s Free Transit Zone, which entitles you to free Transperth bus and train travel within the city centre. Bus 950 stops right outside the village and will connect you to the CBD, as well as Hay Street and Murray Street Malls. Our convenient location also offers easy access to the North and South Freeways (Mounts Bay Road exit), as well as Stirling Highway to the West. The apartment hotel is rated 4 star by AAA Tourism in the Apartment Hotel category and has won several awards in recent years for exceptional customer service and product. 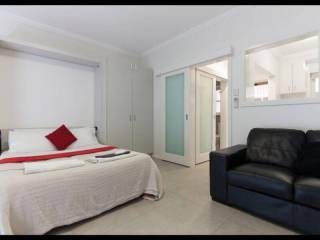 The apartment hotel offers all the services and facilities provided by a hotel but with added convenience and space of a fully self contained apartment. There is ample complimentary undercover security parking. 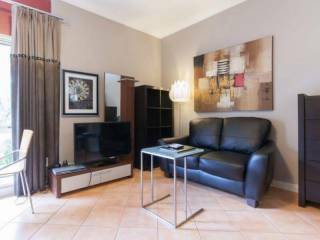 Mounts Bay Waters Apartment Hotel is Perth’s only 4 star full service apartment hotel and is generally regarded as being the most competitively priced accommodation of this style. It consists of 165 beautifully appointed one, two and three bedroom fully self-contained hotel apartments and penthouses in a village style environment, complemented by our gardens, swimming pools and tennis courts. 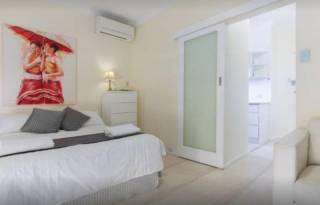 Mounts Bay Waters Apartment Hotel is a part of the Waldorf Apartments Group, one of Australia’s and New Zealand’s leading accommodation chains of quality furnished, serviced apartments and apartment hotels. The Group is a developer, promoter, finance manager & owner of serviced apartments complexes all over Australia and New Zealand. Whether you plan to stay for a few days, a few weeks or a year, our spacious furnished studio, one, two or three bedroom apartments will make you feel like you never left home. Our apartments provide daily or extended stay, self contained spacious, luxury and fully equipped accommodation for up to 6 persons for the cost of a hotel room. Full payment is to be made at the time of check-in, unless the rate you have booked requires prepayment at time of booking. Check-in time is at 2pm and check-out time is at 10am. Please Note: For all credit card payments, there will be a transaction charge of 1.4% in addition to the total amount. Payments by Cash, EFTPOS and Debit Cards do not attract this fee. Kids under 12 years old stay for free when sharing existing bedding. Maximum occupants limits apply per apartment. If a rollaway bed is required, additional charges will apply. One car per apartment is allowed to park on the property. We require make and model of the car along with registration number of the vehicle upon check in. NO BUSES OF ANY KIND ARE ALLOWED TO PARK ON THE PROPERTY. 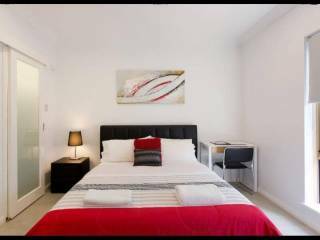 Mounts Bay Waters Apartment Hotel is located adjacent to Perth’s two greatest tourist attractions, the Swan River and Kings Park and is just a few minutes walk to Perth Central Business District and shopping precinct. The Mount Hospital is just metres away. We are within the CBD’s Free Transit Zone, which entitles you to free Transperth bus and train travel within the city centre. Bus 950 stops right outside the village and will connect you to the CBD, as well as Hay Street and Murray Street Malls. The spectacular Perth Convention and Exhibition Centre is a short 5-minute walk from Mounts Bay Waters Apartment Hotel on Mounts Bay Road making this apartment hotel and serviced apartments the perfect choice for those attending conferences and conventions in this venue. Mounts Bay Waters Apartment Hotel is within a few minutes walk to the city’s shopping precinct centred around the Murray and Hay St Malls. Also along Forrest Place and the stylish King Street, Perth offers major department stores, fashionable boutiques, a variety of homeware shops and art galleries. The city’s jewellery stores feature Kalgoorlie gold, Broome Pearls, Argyle diamonds and beautiful Australian opals. Close at hand are such attractions as the Bell Tower, The Rottnest Ferries, The Perth Mint, His Majesty’s Theatre and the Art Gallery of Western Australia and a great selection of restaurants and fashionable bars. Northbridge entertainment area is within walking distance from the Mounts Bay Village. To check-in, please proceed to the Reception Desk located at the Mounts Bay Tower, 112 Mounts Bay Road.